Things are changing rapidly in the marketing world right now, which is both scary and exciting for business. For the savvy business owner there are many things to consider right now. Here is a list of things to do MORE of in 2018, and things to do LESS of as well. Keep in mind, this is just my opinion…. 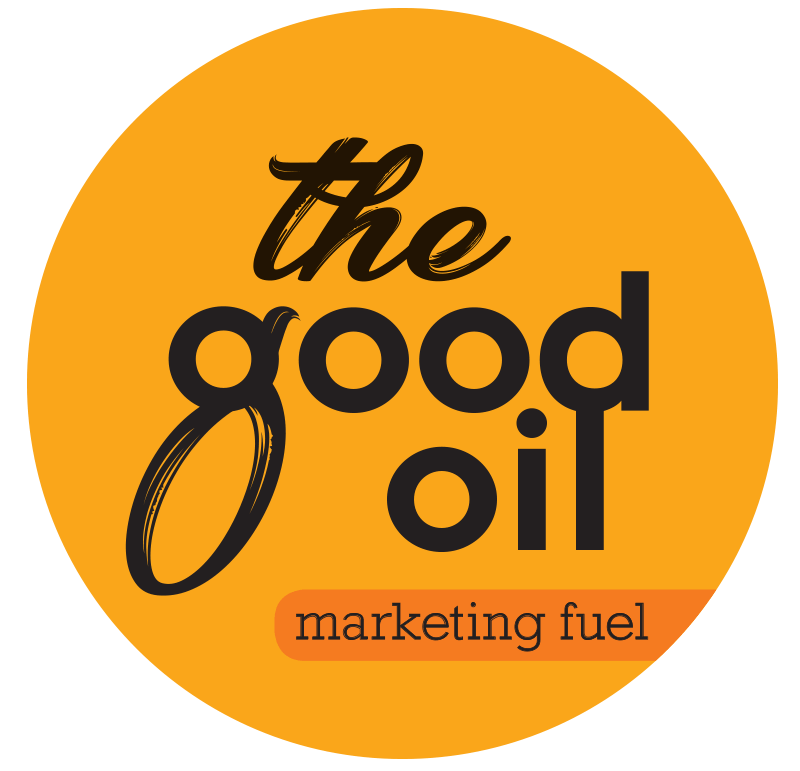 Corey Hinde, Chief Marketeer at The Good Oil based down here in little old New Zealand. People want personalised content, that is relevant to them and their location. Your Facebook Page might have a certain type of person, in an early phase of your sales funnel, compared to your Facebook Group. Your Twitter followers might be quite different to your Instagram followers. Make sure that you think about who is on the particular platform you are preparing content for, what stage of the sales cycle they might be in, and prepare relevant information and posts accordingly. It’s also worth considering that Google might not like you repeating the same stuff all around the place. They like relevant, quality content. Twitter has also changed their rules now so that you can’t simply repeat the same tweet over and over. This is a clear message that you need to put out better, more relevant content. Inflating your numbers is all wrong. Engagement is the name of the game these days generally, and certainly on Facebook. If you have purchased followers or acquired the wrong types of followers, you’ll hurt yourself in the long run. If Facebook or Google, or even your email provider, can see data saying that open rates or reach is low, they’ll penalise and push it down even more. Engagement, the right people, content that hits the mark. That’s what you should aim for now. There is NO POINT having “vanity numbers” anymore. It’s fooling nobody, and actually hurting your business. This is a controversial point, but I’ll lump bots in here too. It’s just not hitting the mark with me as a consumer, and with clients who are looking to scale their business. Bots and automation does have it’s place, but you’d better know your ideal customer very well before you go down that path. Same for long sequences of premade emails. They had better be on point with your ideal customer or it’ll just plain annoy them. People might not unsubscribe, but they’ll delete emails and not read your content, which is actually WORSE because as mentioned above, Google and Facebook will penalise content that’s not getting a response. Don’t go in straight for the sale. Build a relationship, build trust, build desire. Trust your business and your product. Give value to them, help them out, show them how much you know and how helpful you are. Social media campaigns are sometimes better off being used just for email list growth, rather than direct selling. An ad campaign can get great direct sales results though, if done well and professionally. Generally speaking though, we want clients to build up goodwill and trust before looking to close a deal. Video is king this year. It just is. Yep, data science. Really this just means getting more and more data on which to make decisions. Start with basics like average cost per acquistion (how much are you spending to get a customer), average lifetime spend of customer, conversion rates from lead to sale, and frequency of purchase. Build on that and get to know your Google analytics deeply. Get to know your email data as well, and your Facebook insights. There are dozens of measurable points you can track, HOWEVER we find that if a business can find THE MOST relevant 3-5 data points, their business will grow. Most relevant data points is the goal. The data that you know results in more leads, sales, and revenue. In this day and age of more automation, personal outreach is more relevant than ever before. A savvy business owner will personally contact top customers regularly for feedback and discussions on a range of topics. The key here is to put it in your diary and do the reach outs. Phone calls are okay, in person is even better. Make people feel loved and appreciated. Learn from your top customers as much as you can so that you can find more of them. Is it possible that one day Insta will outstrip Facebook for sheer numbers and more importantly impact on your business? The trends are telling us that yes this is a real possibility. Certainly in 2018 you need to be on Instagram. It’s a boom platform, and is growing at a faster rate than Facebook at the moment. Throw in the number of people actually leaving Facebook due to security worries…. People are keen to connect and talk to real humans! Put on an event, get people along, and meet your customers. Online events work as well. Give up some value, demonstrate how likeable you and your company are, make people feel special. Shake more hands! People want to connect. Growing – get on it. Certainly in the business to business space, but in other areas as well. Business people are reporting that Linkedin is providing them with lots of good leads, and getting real clients from it too. Email will always be there. As people ditch Facebook or other platforms, they are still checking email several times per day. When the next social media platform pops up, you’ll sign up using your email address. The key in 2018 is to do it well. Give clients great content via emial, and watch your business grow. Don’t be afraid to give away significant value to get them to sign up too. Vouchers, prizes, exclusive event tickets. I’d love to talk to YOU about how this might be relevant to your business in 2018. I have a Business Booster, valued at $99, that you can have for FREE……….. Thanks for reading, hopefully you take some of these ideas and start to implement them in your business straight away.